Whispers in the Loggia: "Who Will Carry The Light If We Do Not?" For all the ups, downs, long days and wild curves that come with life on this beat, moments like this aren't just amazing to cover and behold: they're the summit of what all this is all about. As no less than Francis himself observed this morning, though, in this age of media over-saturation, "we have so much information but maybe we don’t know what to do with [it].... So we run the risk of becoming museums." "This is the challenge that life offers you," he said, "to learn how to love. Not just to accumulate information without knowing what to do with it, but through that love, [to] let that information bear fruit." Given the scope of this shop, to each and every one of us, let these words serve as a reminder, a challenge and – if we're really going to be Ignatian about it – an examination of conscience. 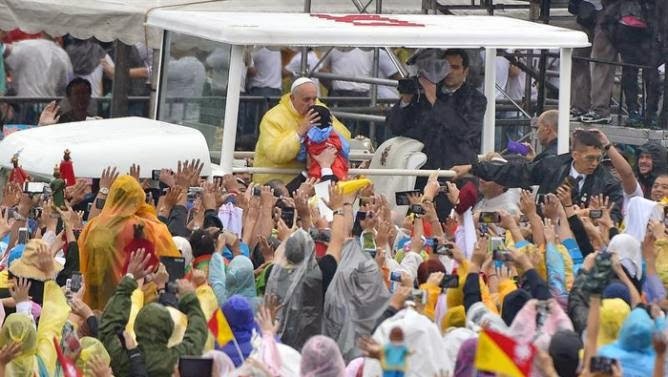 On a related angle, it is exceedingly rare for a papal liturgy – especially one on the road – to see a uniquely scripted ritual not rooted in any recognitio-ed book. 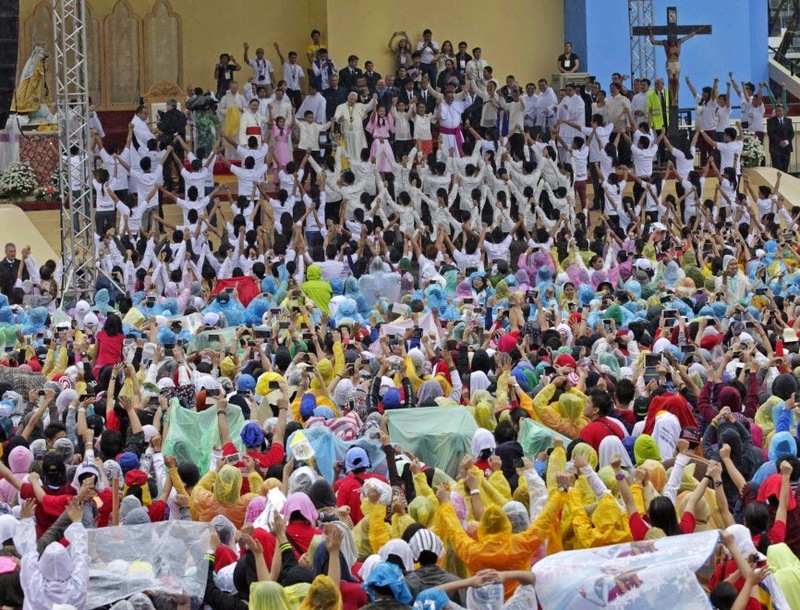 Then again, it should come as no secret to anyone here that the outward-reaching, joy-filled, life-giving, "missionary discipleship"-driven Asian church is the embodiment of Francis' Evangelii Gaudium "dream" in its living the ecclesiology of the peripheries to which Peter's 265th successor has called the entire Body of Christ. And tell the world! Tell the world of His love! Sure, the words might sound like the theme-song of Francis' pontificate. That they were instead written for the now-surpassed Pope-Record event two decades ago in the same place yet again shows how, in reality, there's actually little new to this moment... well, except for those who've just opened themselves to see it. Indeed, folks, these days have been a priceless experience – even more than usual, such a joy and gift to share it all around.